rotary vane vacuum pump vacuum thermoforming- Vacuum Pump - EVP Vacuum Solution! In the plastic production and processing industry, vacuum thermoforming has become a common understanding of the industry. In what era background did vacuum suction molding process come into being, what did it experience, and how did it get a rapid start and development? Today, I’m going to tell you about the history of vacuum suction molding technology. vacuum thermoforming is a hot forming process. A method of manufacturing open shell products using thermoplastic sheets. The plastic sheet is cut into a certain size, heated and softened. With the help of the pressure difference or mechanical pressure on both sides of the sheet, the plastic sheet is deformed and covered on the specific profile of the die. After cooling, the plastic sheet is shaped and trimmed. vacuum thermoforming is a method of forming sheets by means of vacuum force. Vacuum force is easy to realize, master and control, so simple vacuum forming is the earliest and most widely used hot forming method. Absorption moulding is also called thermoplastic moulding, which mainly uses vacuum suction generated by vacuum pump to absorb heat-softened PVC, PET, PETG, APTT, PP, PE, PS and other thermoplastic sheets into various shapes of vacuum covers through moulds, or adhere to the surface of products of various shapes. Plastic absorption can be divided into thin sheet and thick sheet according to the thickness of sheet. vacuum thermoforming is one of the common applications of vacuum pumps, and it is also a commonly used thermoforming method in the production of plastic packaging containers. It is widely used in the processing of packaging materials industry. As early as the early 20th century, vacuum thermoforming technology has been known; since the 1940s, it began to be used in industrial production industry; and until the 1960s, vacuum suction molding began to develop greatly and was widely used. Vacuum suction technology has been developing all the way, and it has become one of the important methods of processing packaging materials. There are reasons for the development of vacuum thermoforming technology today, partly because of the continuous innovation of vacuum suction moulding technology and equipment, as well as the development of new sheets with moulding properties, and partly because of the development of packaging industry and the characteristics of vacuum thermoforming packaging itself. In the industry, vacuum thermoforming technology is undoubtedly one of the most commonly used moulding methods for plastic packaging containers. It takes thermoplastic sheet as its forming object. For some developed countries abroad, vacuum suction molding is a relatively old forming process. With the progress of technology and the development of science and technology, vacuum suction molding has been highly automated and mechanized, and no waste material has been produced, 100% of the raw and auxiliary materials into products. And forming system engineering of full-line production has been formed. 1. 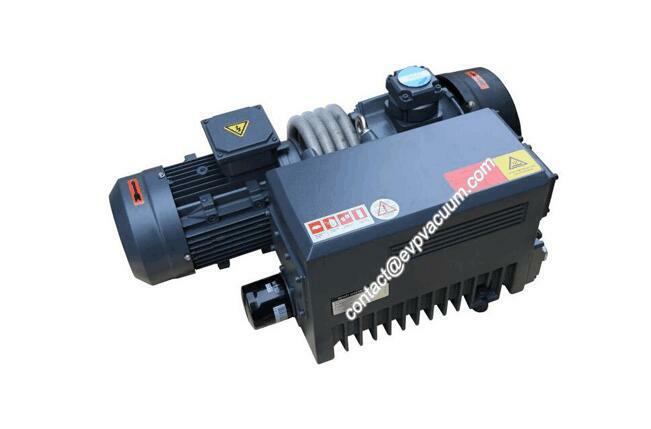 Rotary vane vacuum pump is most suitable for vacuum suction moulding. This vacuum pump has a variety of models. 2. Pumping speed is 10 cubic meters per hour to 300 cubic meters per hour. 3. The power is between 0.37 kW and 7.5 kw. 4. This vacuum pump is a low-noise, energy-saving product. 5. The use of life-saving, relatively preferential prices, we are factory sales and factory prices, the use of imported technology development, its performance is better.